I store pre-packaged and miscellaneous die cuts in a few different ways, let’s start with miscellaneous die cuts. 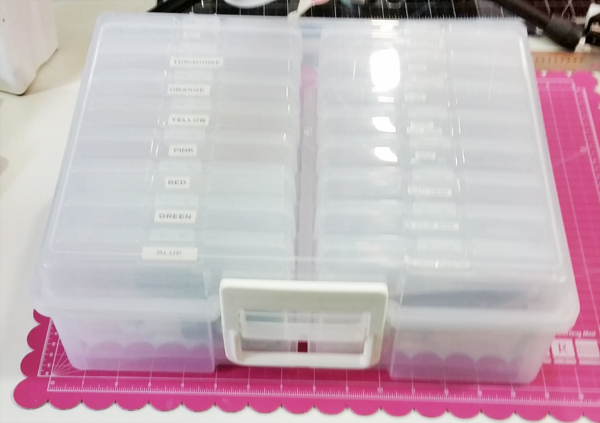 For miscellaneous die cuts, I store them by color in these little photo boxes by Iris. The photo boxes by Iris are sturdy, close securely and are easy to store. I love them. As you can see from the photo, each photo box is labeled by color. 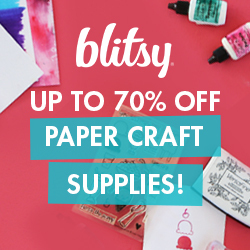 I have one for multi-colored items as well as one for cork die cuts, wood veneer die cuts, etc. Any kind of die cut that I either make or buy goes in one of the photo boxes. When I’m working on a page I just grab the boxes in the colors I’m working with and take them with me. It’s great for scrapping at home or when you are going to a friend’s house or a crop. This is what the Iris Photo Box Case looks like in the store when you purchase it. You can get it at Michael’s with a coupon or when storage is on sale! 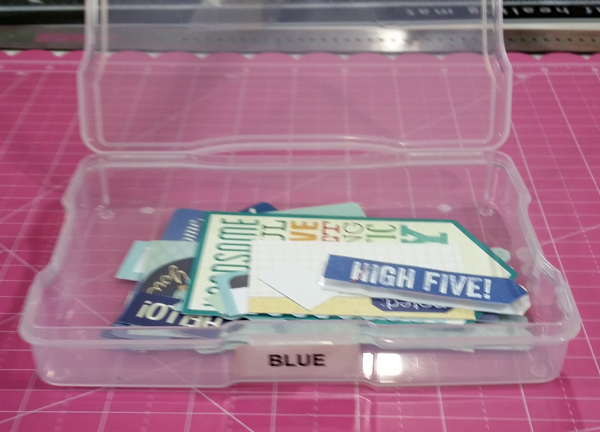 Because I purchase pre-made die cuts that go with collections or paper pads, I store them in these cd sleeves and store them in an Interdesign Bin like this. I hope this helps with your die cut/ephemera storage. If you have any questions, please leave a comment or contact me and I’ll get back to you asap.